Are you looking for a way to spend quality time with your family? I’m writing you to express my gratitude towards you and your company. 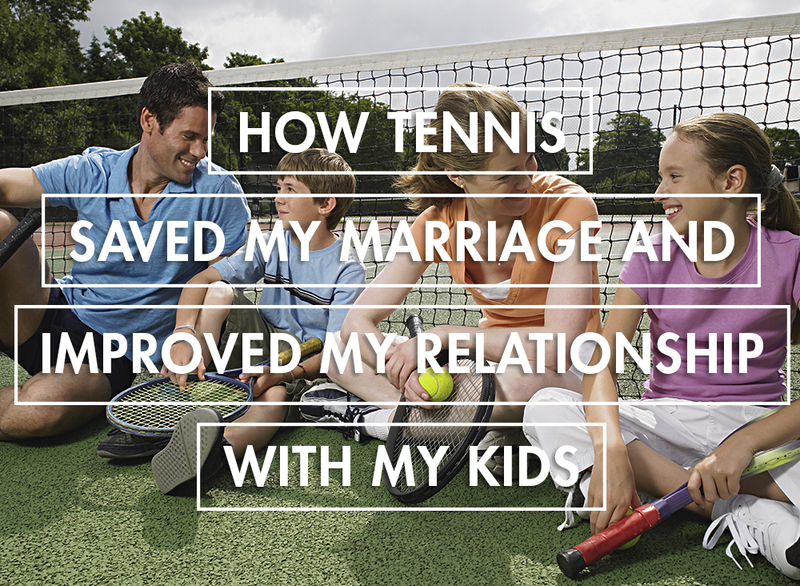 I am aware this might sound strange, but I believe taking up the game of tennis through PlayYourCourt has not only helped my health, but has also saved my marriage and helped strengthen my relationship with my kids. I recently turned 40 (for the third time) and my life was beginning to feel stagnant. I’m a stay-at-home mother of two boys and dealing with the onset of arthritis. I was advised by my doctor to take up an activity to get my body moving and to break a good ol’ sweat. I was never athletic growing up–I was actually envious of those who could pick up sports so quickly–so I wasn’t sure what to take up. One thing I had always enjoyed was watching tennis on TV so I figured, why not try tennis? It looked like fun and everyone I know who plays tennis loves it. So I found your service online, and within a week I was standing on a court with Jason wearing my brand new tennis shoes. My marriage, much like my joints, had become stiff and rigid. My husband works long hours, leaving me at home with the kids. And when the weekend rolls around, I’m usually at practices or games. Our schedules are conflicting and it felt we were starting to grow apart. My husband is very athletic and plays golf regularly, and then there was me, after one lesson, with my newfound passion for tennis. I knew me playing golf wouldn’t be pretty, so I suggested we take a tennis lesson together. At first he wasn’t all that keen, but after some coaxing he tagged along to my second lesson. Both being brand new to tennis, we ended up finding a lot of enjoyment learning something new together. After a few lessons, we started planning “tennis dates” at our local court. It was such an invigorating way to spend time together. Active time outside the house has brought out a new side of our relationship. In fact, our boys saw how much fun we were having that they also wanted to participate. We now have a couple months under our belts and are really starting to see improvement (of course, my husband more than me) And we now have a regular doubles game as a family on the weekends. Family dinners are great, but playing tennis together as a family has brought us closer. 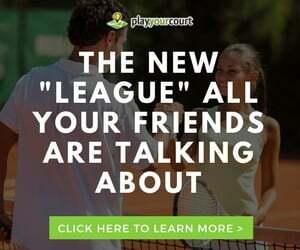 I’m very fortunate to have found tennis through PlayYourCourt. Thank you! Bonus: Read "5 DIY Ways To Teach Your Kids Tennis"
It’s hard to think that an hour or two on the court can bring a family closer together, right? But research shows that couples who exercise together not only keep off the extra pounds, but they strengthen their relationship at the same time. And just like Janet said, this positive impact on your relationship will spill over into your relationship with your children. Want to build a stronger bond with your kids and partner? Time on the tennis court can certainly help! PlayYourCourt coaches can set up a fun family lesson for the whole group. 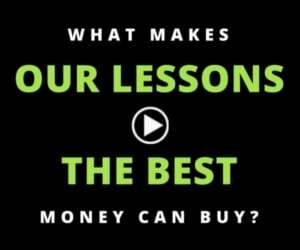 Click here to find a tennis coach near you for lessons on your neighborhood court.